Visit bit.ly/1NkGggZ to view the final EIR for the Squaw project. Visit bit.ly/1Hfvg0g to learn more about the Village at Squaw Valley Specific Plan. Squaw Valley is known for its world-class skiing and challenging terrain. It has the potential to also be known as one of the premier mountain destinations in the country, offering true four-season recreational opportunities and on-site accommodations for both visitors and some of its workforce. 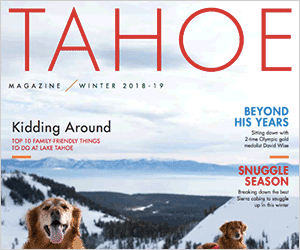 We live in a weather-dependent resort community, and we know visitation to North Lake Tahoe slows in the spring and fall ­— even in years when the sun shines and the snow falls. We understand the mountain destination marketplace has become extremely competitive, with resorts across the country diversifying their year-round activities and resort amenities in order to attract visitors despite the effects of climate change, so they can continue to thrive. We want North Lake Tahoe-Truckee to remain a premier destination for visitors, and a great place for residents to live and work; however, we can’t remain competitive with aging infrastructure and dated amenities. The Village at Squaw Valley redevelopment plan is consistent with our region’s core values of environmental stewardship, providing good year-round jobs, increasing on-site workforce housing opportunities, and enhancing outdoor trails and bike paths. The project is a win-win-win for locals and visitors. If approved, the project will create over 1,400 new jobs while focusing the majority of redevelopment on existing disturbed land. Over 90 percent of the project will be built on existing asphalt parking lots, finally finishing the incomplete village project that was started years ago, and realizing the original dream of Squaw Valley’s founders. Most importantly, in my view, is that we have planning and zoning rules, and when anyone buys a property, they buy it with those already established entitlements. We cannot let every project be a referendum on public popularity choices. I am a strong believer in property rights and think that this project should not be influenced by popular sentiment of some on items like a water park. This is purely a business decision by the property owner. Those who do not like the idea are not obligated to use it. I don’t want anyone telling me how to run my business, how much to price lift tickets, when to run lifts and so on. This is a business decision, and those who think they know better should then join the league of owners of such a business. The zoning ordinances allow for certain heights of buildings and uses. Let’s stick to those discernible items that have rules and not the emotional outcry of people who think they should be entitled to run a ski area. After several iterations and significant downsizing since its inception, the plan will soon come before the Placer County Board of Supervisors. We encourage both the Planning Commission and the Board of Supervisors to support this plan. The community has had many opportunities to meet with the Village planners, and we are confident Squaw Valley Ski Holdings and Squaw Valley Real Estate have listened to the community and made changes that have only made the plan better. The current plan consists of thoughtful, sustainable development that will keep Squaw Valley on the map as one of the top mountain destinations in the country. The Village redevelopment will enhance and protect local tourism, creating both direct and indirect benefits for small businesses, and increasing job opportunities for those who live here. In addition, the project will generate over $25 million in annual tax revenue for the County and support important public services. We’ll see significant revenue to improve roads, snow removal, environmental initiatives, transit services, schools, hospitals and public safety. Ultimately, approval of the redevelopment of the Village at Squaw Valley will contribute to the success of our region for generations to come. Gary Davis is a 30-year resident of Tahoe City, and a 55-year skier at Squaw Valley ski resort.